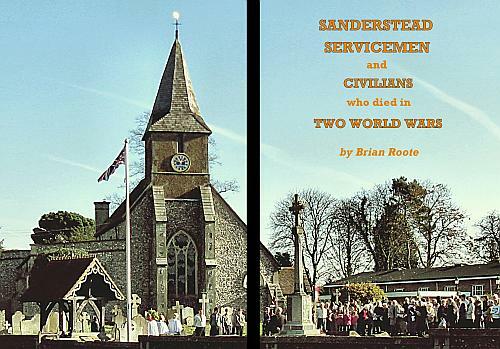 This book by by Brian Roote outlines the histories of many soldiers and civilians who died in each of the major conflicts of the 20th century. Memorials to each of them are to be found together with brief biographies. A5, 106pp. Published February 2012. Lieutenant Colonel Royal Engineers. Controller of Chemical Warfare. ‘Langholm’, Edgar Road and 50 Heathhurst Road. His parents were William and Susannah. He was an Officer of the Légion d’honneur (France), and Officer of the Order of Saint Maurice and St Lazarus (Italy). He is widely regarded as the inventor of the gas mask in WW1. Papers have come to light containing a letter from Winston Churchill to his wife thanking her for the work he did. He died aged 49 on 4th November 1918 from pneumonia and was buried with full military honours in Brompton Cemetery. It is thought his early death was due to his experiments with gas in his research. Died on 4th November 1918, aged 49. His name is on the All Saints’ Church war memorial.